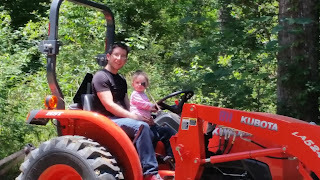 My son and granddaughter got to come visit and see my land. Here's hoping that one day, they'll take over managing and caring for the land. 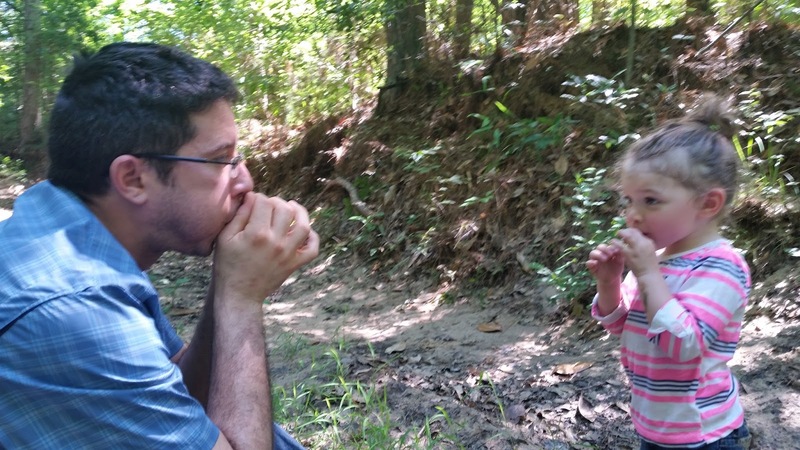 Daddy trying to teach my granddaughter how to whistle with a leaf. We were enjoying a nice time down by Turkey Creek. You gotta learn how to use the tools of the trade. 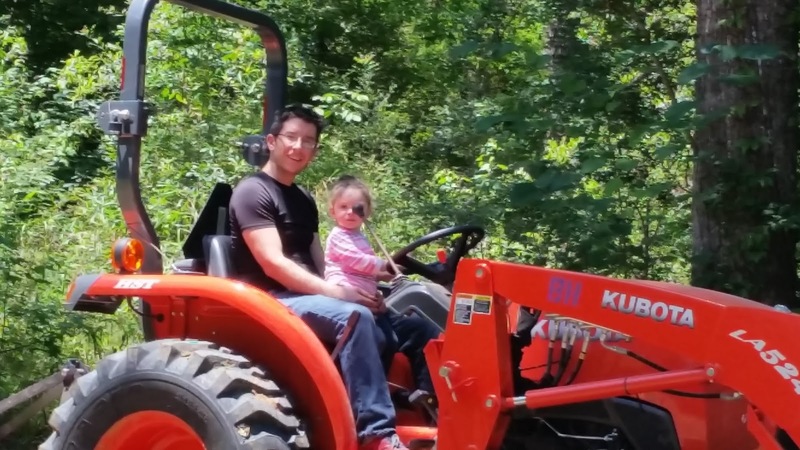 I think baby mac will make a fine country girl one day.